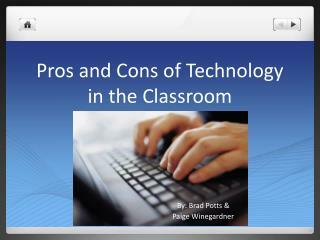 PowerPoint in the Classroom. 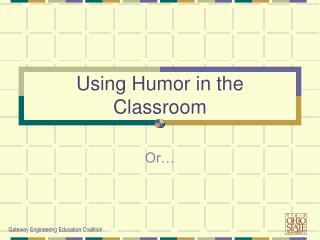 A tutorial for interactive instruction. Introduction. Introduction. PowerPoint is a high-powered software tool used for presenting information in a dynamic slide show format. 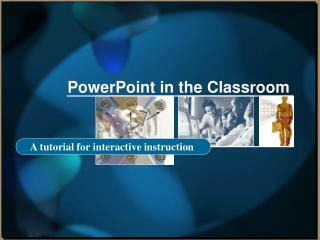 PowerPoint is a high-powered software tool used for presenting information in a dynamic slide show format. 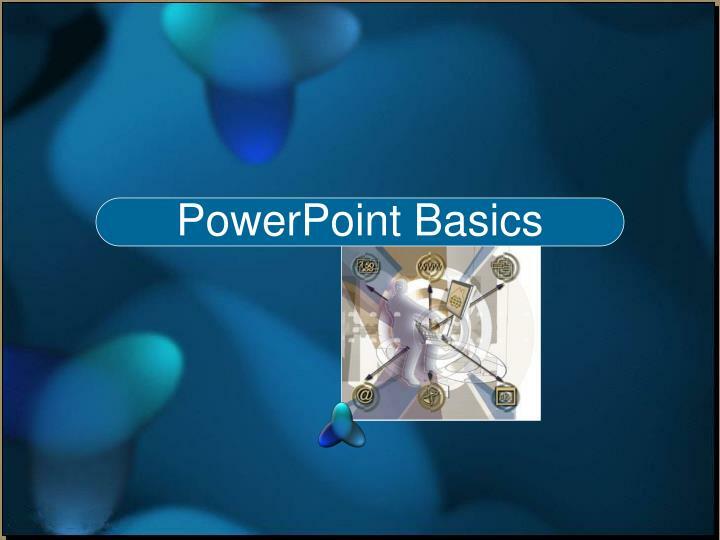 Text, charts, graphs, sound effects and video are just some of the elements PowerPoint can incorporate into your presentations with ease. Whether it's a classroom lesson, a parents' group meeting, a teachers' seminar or an unattended kiosk at the Science Fair - PowerPoint shows you how to make a powerful impression on your audience. Join us in this, two part tutorial as we show you how to effectively use PowerPoint to present many different forms of information. 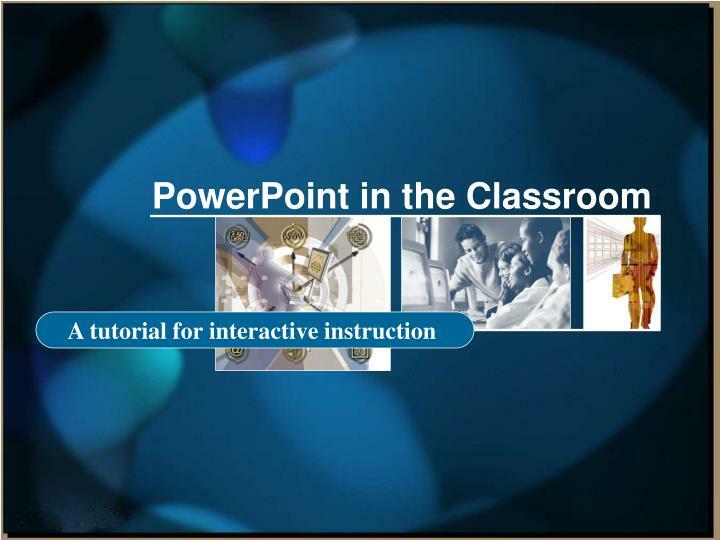 Part One will be a basic how to get up and running with PowerPoint. Part Two will teach you how to blow the audience out of the water. Let’s start with the most important feature of PowerPoint, The Toolbars. PowerPoint comes with many toolbars-fifteen of them, to be exact. Don't worry about learning all of them. Concentrate on the four main toolbars that appear when you first open the program. The toolbars contain graphically illustrated buttons that you click to perform specific tasks in a program. PowerPoint has four main toolbars, which can help you create your presentations quickly and easily. The Standard Toolbar is located at the top of the PowerPoint window, below the menu bar. 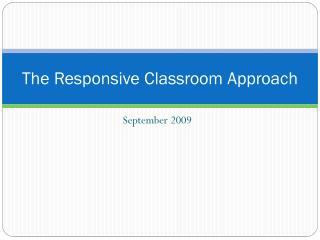 It has buttons for common tasks such as saving, printing, checking spelling, and inserting charts and tables. The Formatting Toolbaris located just below the standard toolbar. Most of its buttons are for formatting text. Use these buttons to change the font type or size, make text bold or italic, indent text, and insert bullets. 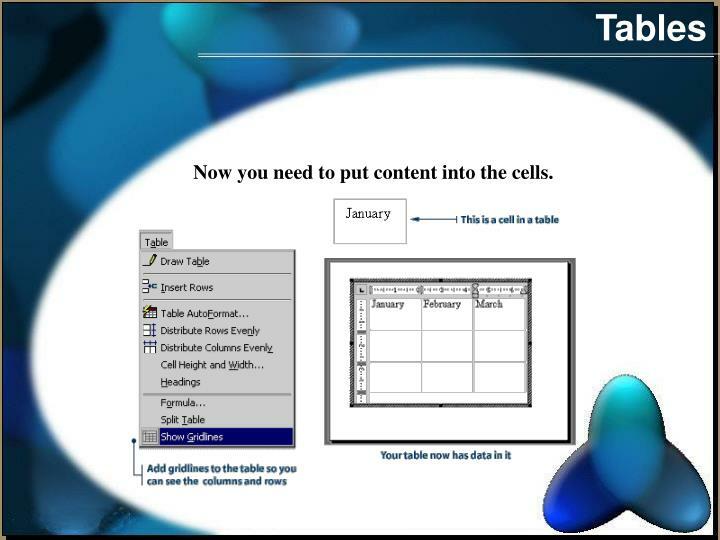 The Drawing Toolbaris located at the bottom of the PowerPoint window. It has tools for drawing shapes, adding lines and curves, and inserting text boxes and WordArt. It also has buttons for manipulating and formatting the objects you draw. The Common Tasks toolbaris initially a floating toolbar. That is, it isn't anchored to an edge of the PowerPoint window. Use this toolbar to create a new slide, change the layout of a slide, or apply a design. PowerPoint toolbars can be moved, docked to any side of the PowerPoint window or left floating. A move handle on the left or top of the toolbar indicates that the toolbar is docked. A title bar indicates that the toolbar is floating. As you work more with PowerPoint you may wish to add some of many other toolbars to your PowerPoint window. One more important set of buttons can be found in the lower left hand screen in PowerPoint. This is the Views Menu. These options allow the user to scroll through different “views” of the presentation. 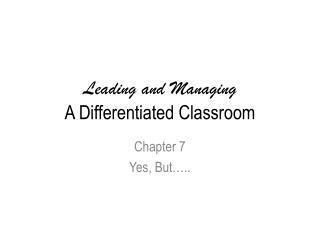 We will go over the different views during the rest of the lesson. 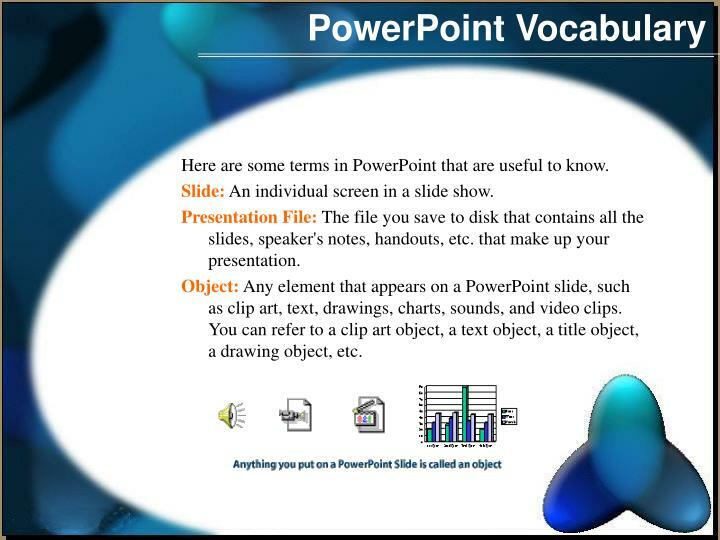 Here are some terms in PowerPoint that are useful to know. 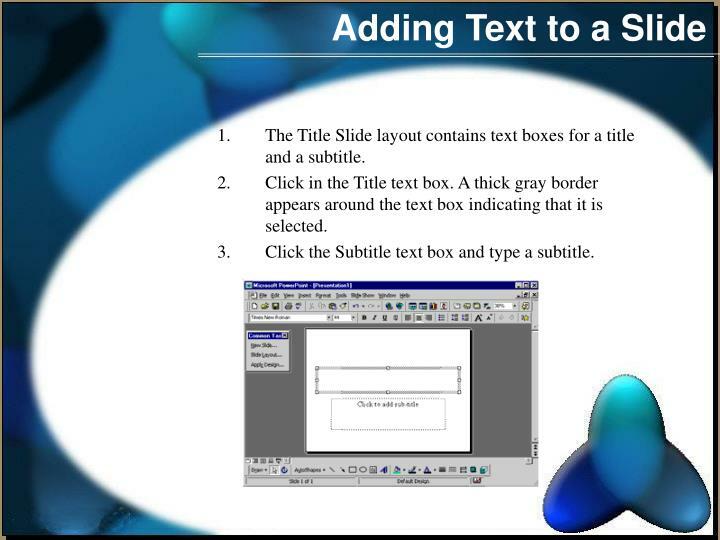 Slide: An individual screen in a slide show. 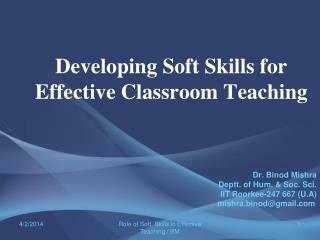 Presentation File: The file you save to disk that contains all the slides, speaker's notes, handouts, etc. that make up your presentation. 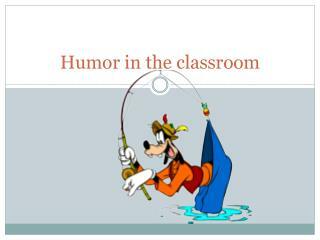 Object: Any element that appears on a PowerPoint slide, such as clip art, text, drawings, charts, sounds, and video clips. You can refer to a clip art object, a text object, a title object, a drawing object, etc. Slide Show: A series of slides displayed in sequence. A slide show can be controlled manually or automatically. Transition: A special effect used to introduce a slide during a slide show. 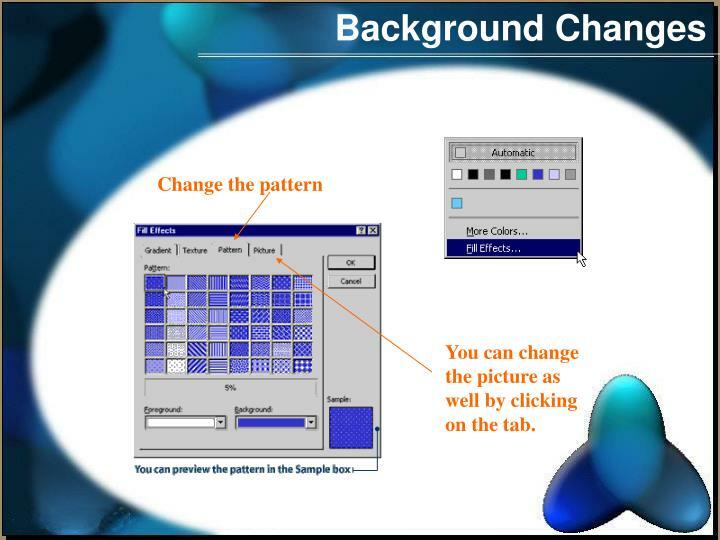 For example, you can fade in from black, or dissolve from one slide to another. 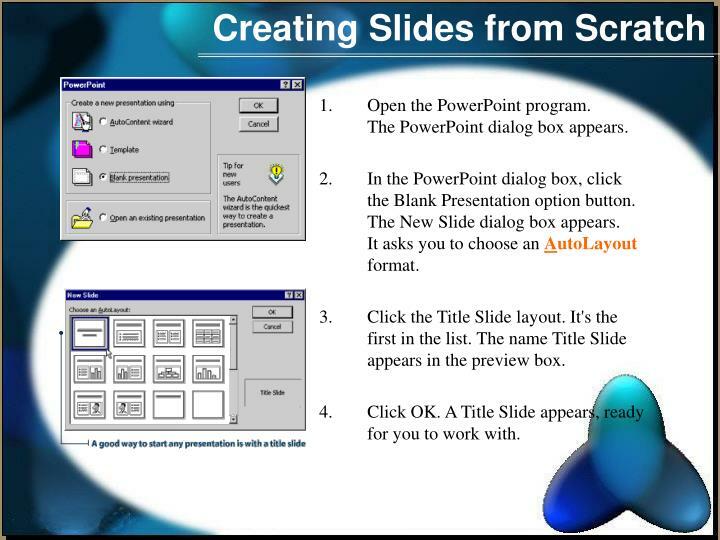 PowerPoint gives you quite a few ways to create a presentation. If you want total control over the look and structure, you will likely build your slide show from the ground up. 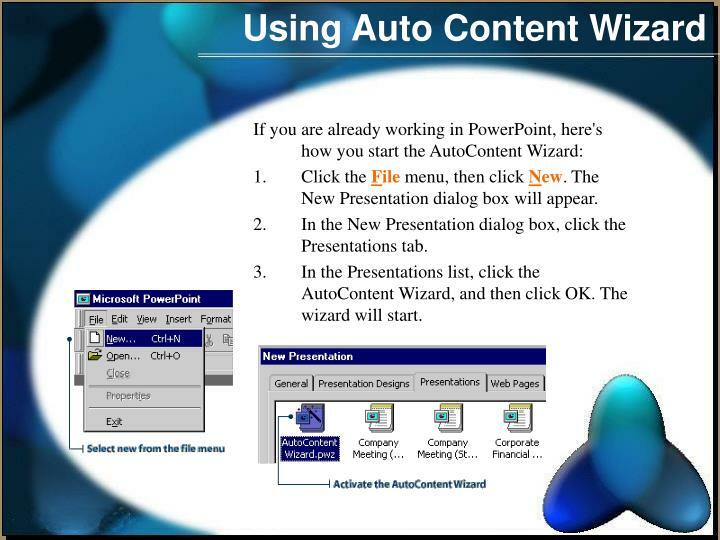 If you need a presentation in a hurry, the AutoContent Wizard is your new best friend. 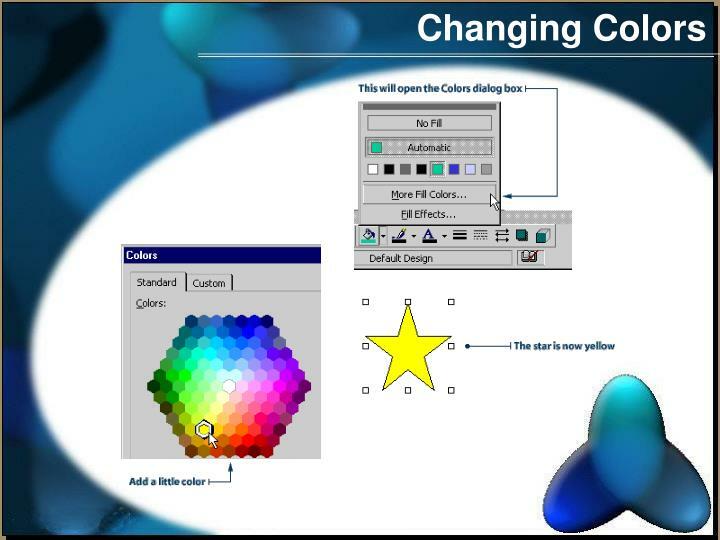 If you're great at organizing information, but can't match two colors if your life depended on it, then you'd better leave your slide show color scheme to PowerPoint's ready-made templates. Open the PowerPoint program. 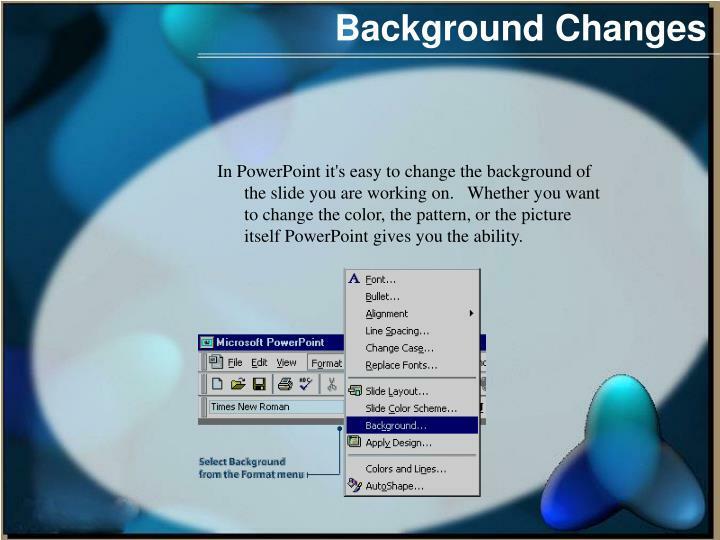 The PowerPoint dialog box appears. 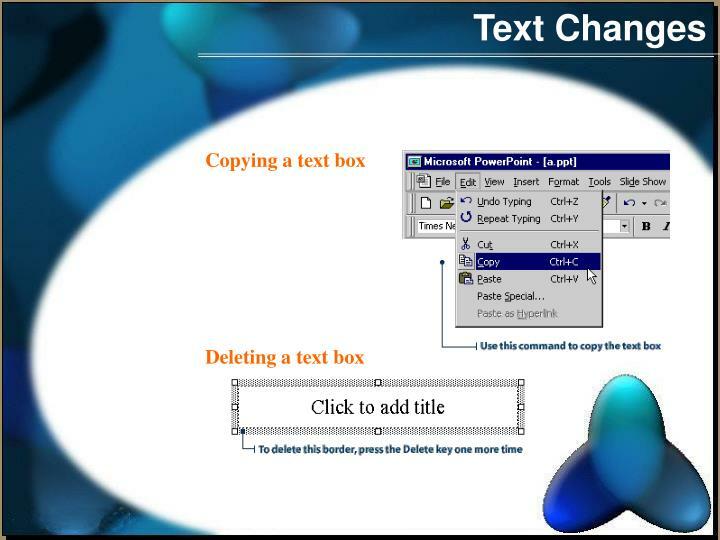 In the PowerPoint dialog box, click the Blank Presentation option button. The New Slide dialog box appears. It asks you to choose an AutoLayout format. 3. 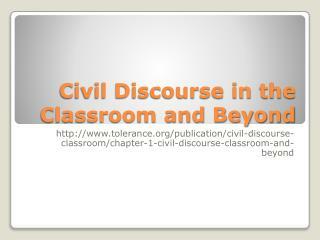 Click the Title Slide layout. It's the first in the list. The name Title Slide appears in the preview box. 4. 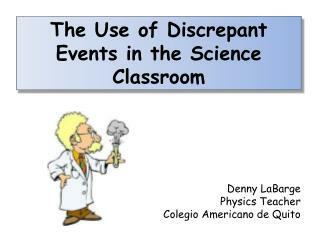 Click OK. A Title Slide appears, ready for you to work with. 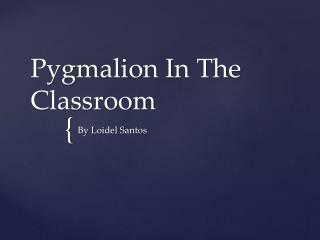 The Title Slide layout contains text boxes for a title and a subtitle. Click in the Title text box. A thick gray border appears around the text box indicating that it is selected. Click the Subtitle text box and type a subtitle. Click the New Slide button on the Common Tasks toolbar. The AutoLayout dialog box will appear. 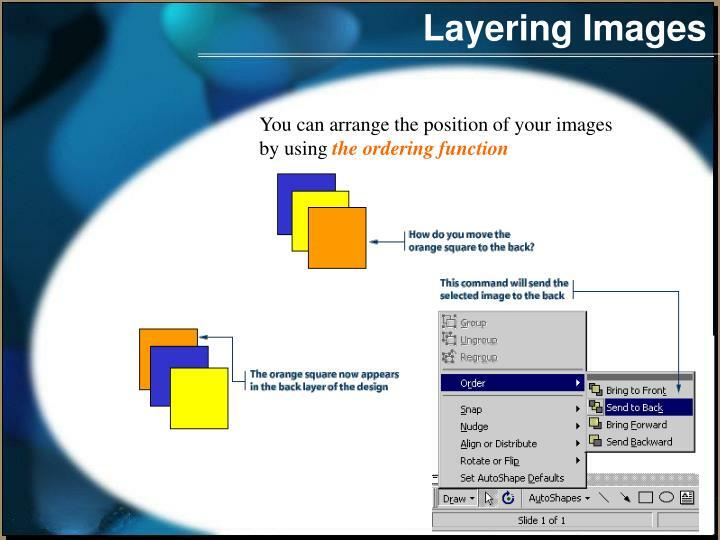 Choose a layout for your next slide. 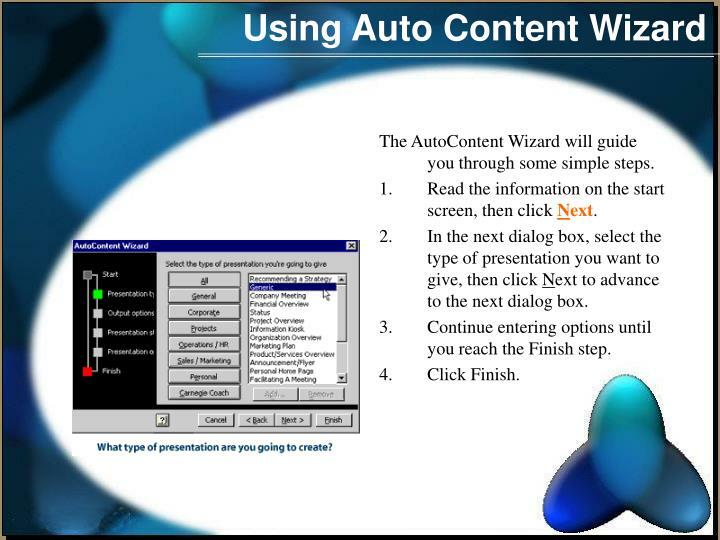 The AutoContent Wizard is a good option for creating a presentation if you are a beginner. The AutoContent Wizard offers suggestions for templates to use and types of content to put in. This option is also good if you are in hurry and want to create a presentation quickly. If you have just launched PowerPoint, click the AutoContent Wizard option button in the PowerPoint dialog box to start a presentation. Click the File menu, then click New. The New Presentation dialog box will appear. 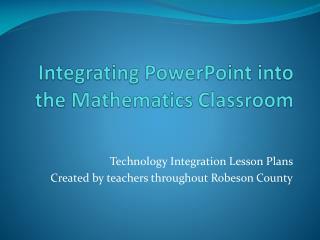 In the New Presentation dialog box, click the Presentations tab. In the Presentations list, click the AutoContent Wizard, and then click OK. The wizard will start. The AutoContent Wizard will guide you through some simple steps. Read the information on the start screen, then click Next. In the next dialog box, select the type of presentation you want to give, then click Next to advance to the next dialog box. Continue entering options until you reach the Finish step. A template, also called a presentation design, lets you create a presentation without worrying about design elements. The template defines the color, background, and font of the slides. PowerPoint has many templates, which you can preview and select in the New Presentation dialog box. PowerPoint also lets you customize the templates. For instance, you can change the background color or typeface of a template. Creating a presentation using templatesIf you have just launched PowerPoint, click the Template option button in the PowerPoint dialog box to start a new presentation. Click the File menu, then click New. The New Presentation dialog box appears. Click the Presentation Designs tab, and then click an appropriate template. The design will appear in the preview box. Click OK. The New Presentation dialog box will close. 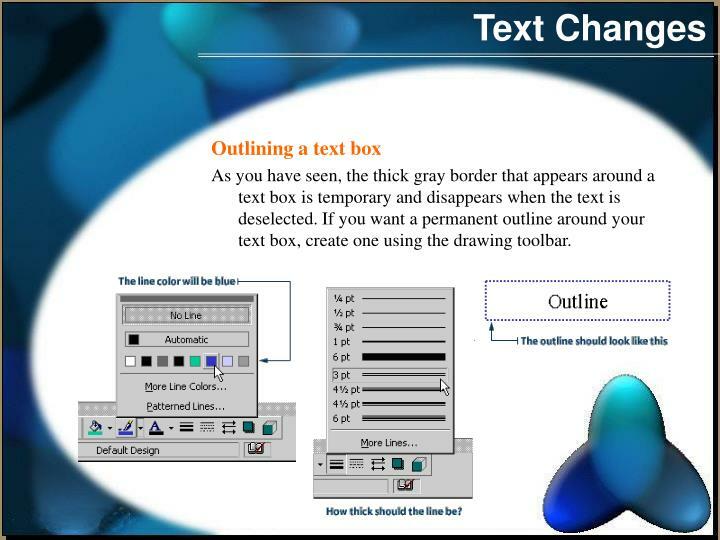 What is Outline View?In Outline View, your presentation appears as an outline, made up of titles and main text from each slide. Because you can see all your presentation in one window, rather than one slide at a time, it's an ideal place to plan, organize, or edit your presentation. Switching to Outline View To switch to Outline View, click the Outline View button in the lower left-hand corner of the PowerPoint window. 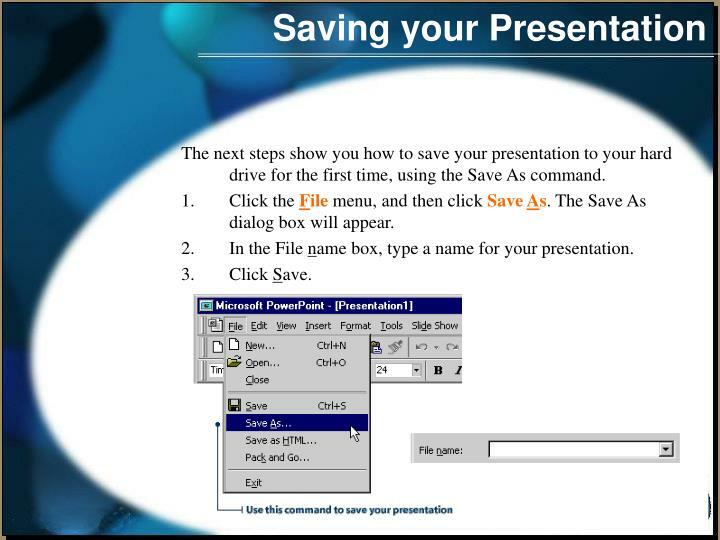 The next steps show you how to save your presentation to your hard drive for the first time, using the Save As command. Click the File menu, and then click Save As. The Save As dialog box will appear. 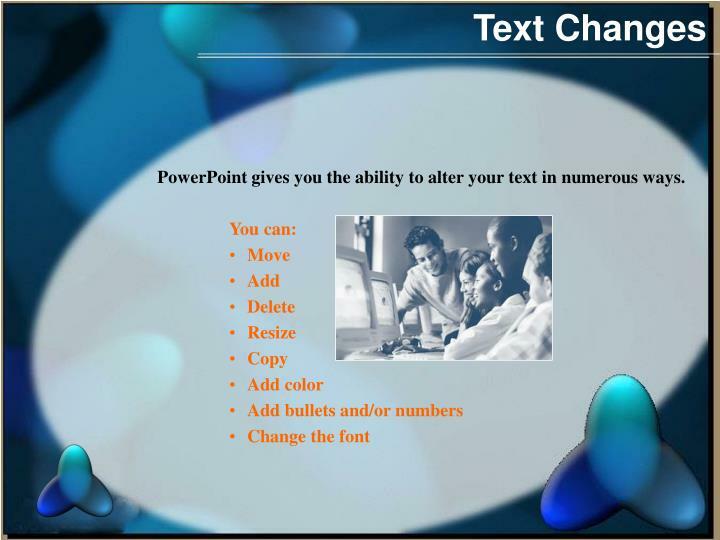 PowerPoint gives you the ability to alter your text in numerous ways. Moving a text box If you don't like where a text box is positioned on a page, you can move it to a new location. First you select it, then you move it. Resizing a text box The gray border that appears around an object when you select it has square handles on its corners and on its sides. These are called selection or resizing handles. You can click and drag these handles to resize text boxes. Adding a new text boxSometimes, you may want to add text to a slide without using a built-in text box. 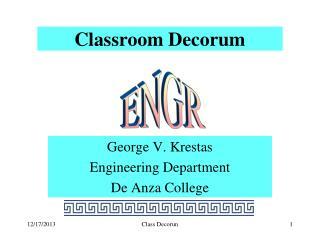 For example, you may want to type a label for a drawing, or you may want to add text to a blank slide layout. In PowerPoint, you can add your own text boxes to any slide using the Text Box tool on the drawing toolbar. As you have seen, the thick gray border that appears around a text box is temporary and disappears when the text is deselected. If you want a permanent outline around your text box, create one using the drawing toolbar. Don’t forget to check the spelling in your presentation before the audience sees it. 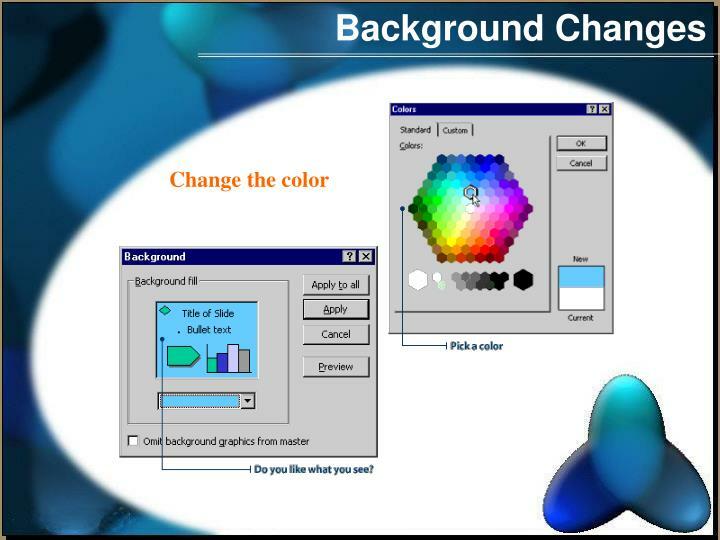 In PowerPoint it's easy to change the background of the slide you are working on. 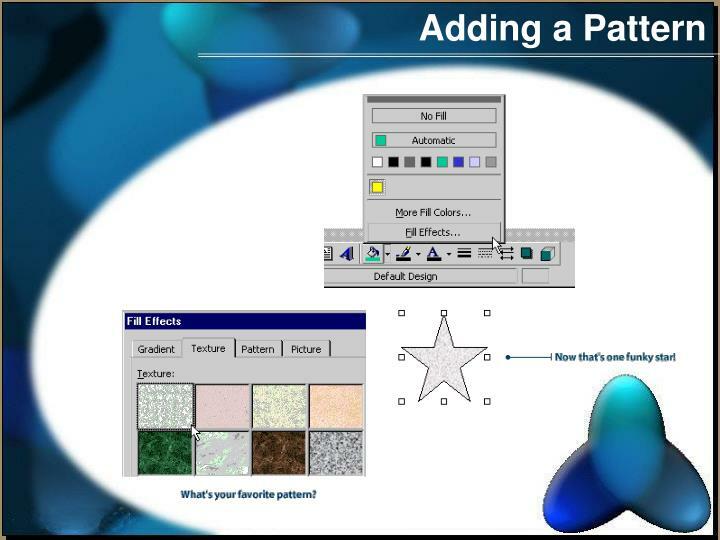 Whether you want to change the color, the pattern, or the picture itself PowerPoint gives you the ability. You can change the picture as well by clicking on the tab. 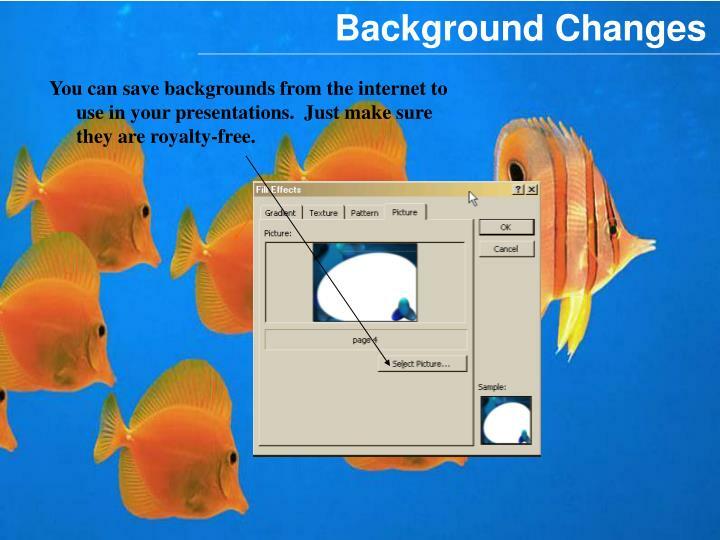 You can save backgrounds from the internet to use in your presentations. Just make sure they are royalty-free. A few simple rules to make your presentation professional and easy to read. Fonts:Choose two easy to read fonts. One for your headlines and one for your text. A sans-serif font for your headlines is the best choice. Choose a serif font like Times New Roman for your text. Keep in mind that the font choices must be on the computer you will be showing the presentation from. Stick to common fonts to guarantee to look of your presentation. Choose more conservative colors and patterns for your text and backgrounds. 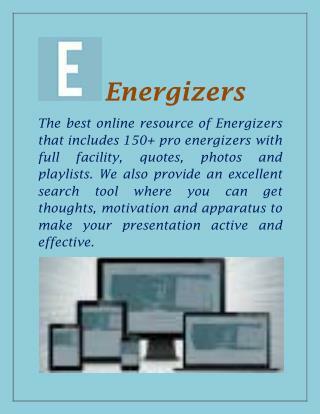 You want your audience to be able to read the presentation. Consider the color wheel for complimentary colors. It is easy to add shapes and images to help jazz up your presentation. Choose the star shape.Click anywhere on the slide.A star of predefined size will be inserted. You can insert Clip art the same way. What if you need to insert important information like a chart or graph? If you need to revise the information in the graph. Suppose you hate bar graphs and really want a pie chart? Double-click the chart you want to change. 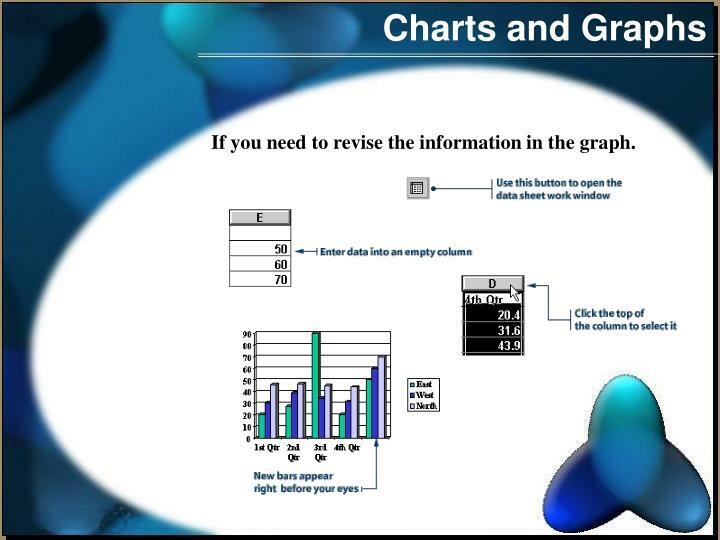 A heavy border appears around the chart, and the data sheet appears. 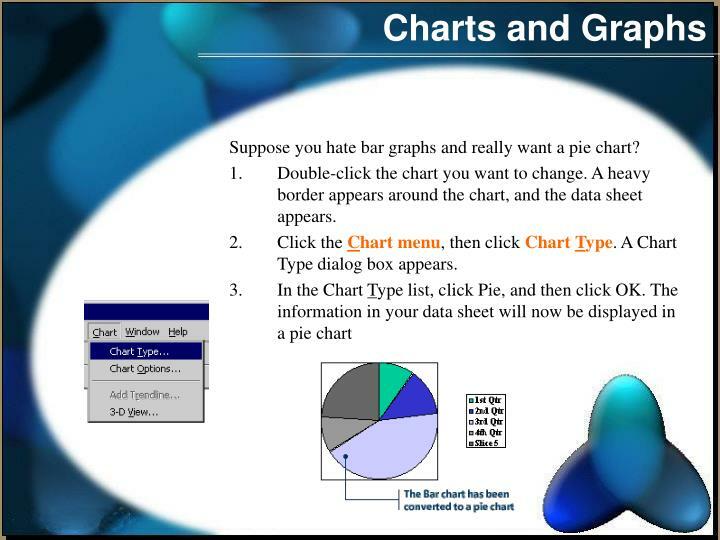 Click the Chart menu, then click Chart Type. A Chart Type dialog box appears. 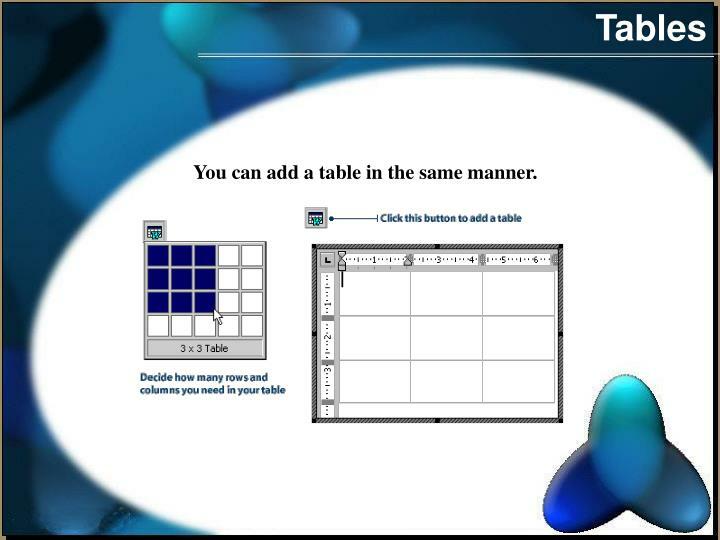 You can add a table in the same manner. Now you need to put content into the cells. You can resize the cells just like you would a text box. 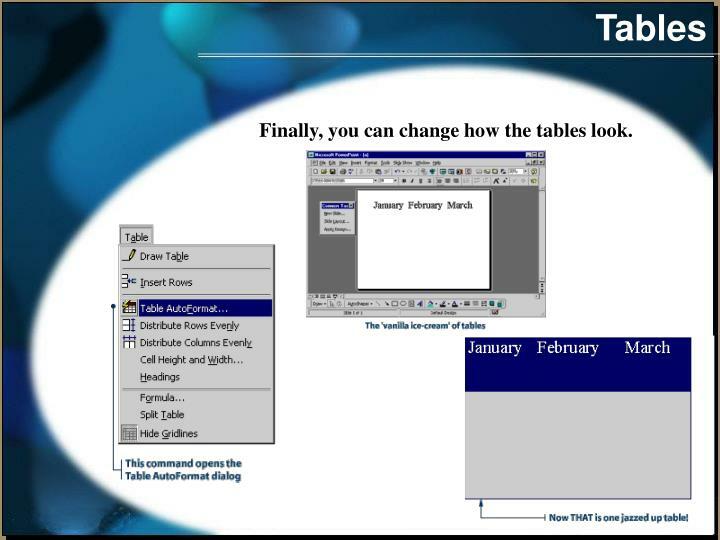 Finally, you can change how the tables look. Now that we’ve covered the basics of designing a PowerPoint presentation, you are ready to move on to more comprehensive techniques. 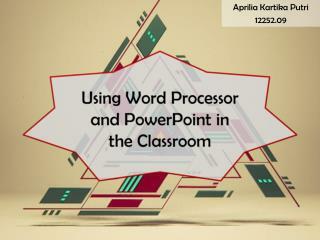 Join us for the next step of PowerPoint in the Classroom. Part Two will walk you through slide transitions, animation, timing and effects, audio, hyperlinks, and multi-media. 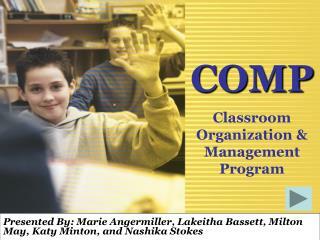 Developing Oral Language Skills within the Classroom -The talking classroom. 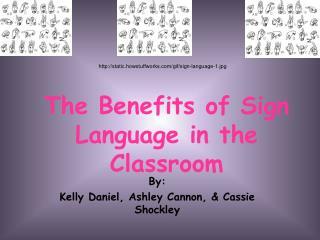 developing oral language skills within the classroom. 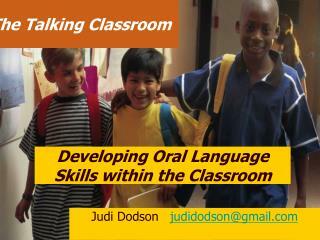 judi dodson judidodson@gmail.com. big ideas. 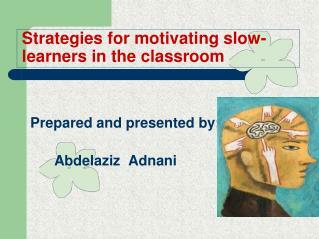 create meaningful opportunities for talking in the classroom. 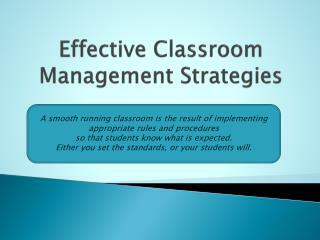 Enrichment in the Math Classroom -. 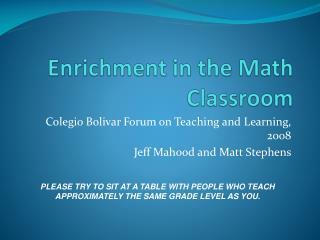 colegio bolivar forum on teaching and learning, 2008 jeff mahood and matt stephens. please try to sit at a table with people who teach approximately the same grade level as you. enrichment is all about depth.